So, I did it again. I managed to successfully create and cook a recipe that the family all liked. (And then I gave myself a little pat on the back.) So far the breakfast genre seems to be my best bet for recipe creation. 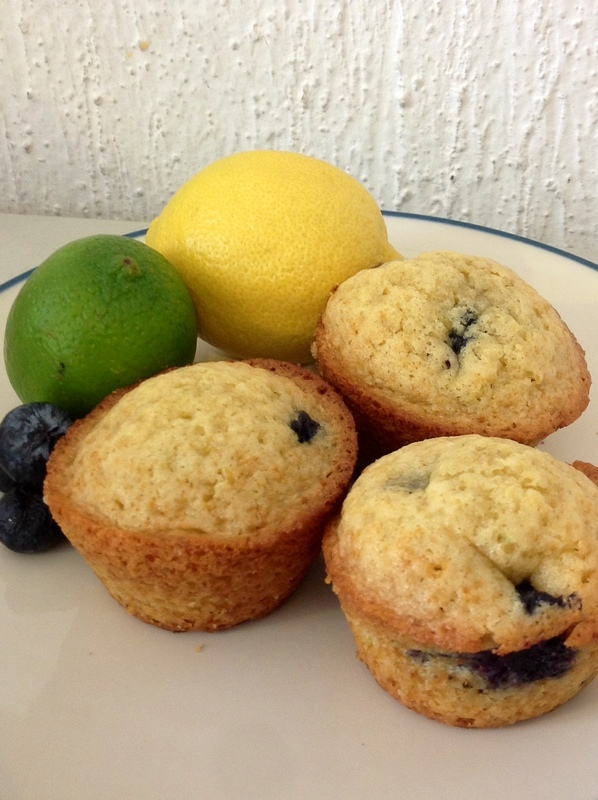 I have baked recipes for both lemon blueberry muffins and lime blueberry muffins before, so I thought, “what the heck, why not make blueberry muffins with both lemon AND lime.” I know, I know my creativity is astounding! 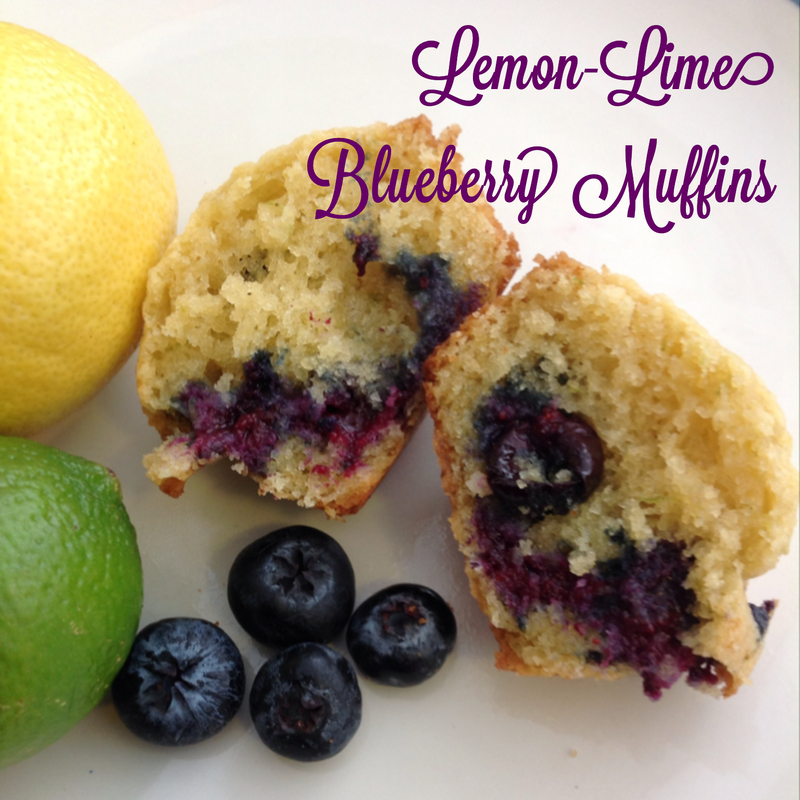 The sweetness of blueberries combined with the tartness of citrus is a favorite combination of mine. And these moist, fluffy muffins certainly do not disappoint! 2. Spray muffin pan with non-stick cooking spray or line with paper muffin liners. 3. 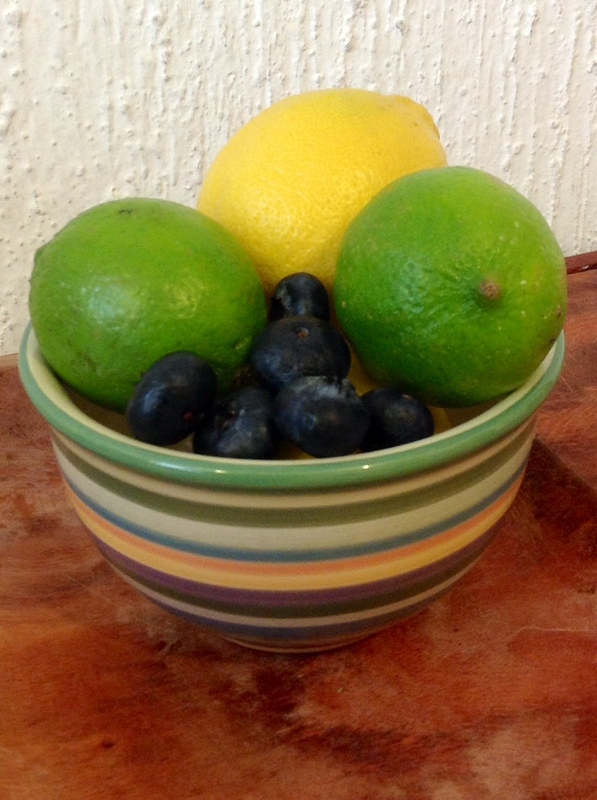 In a small bowl, combine the sugar and lemon and lime zest. Mix sugar and zest together with fingertips until sugar is moistened. Set aside. 4. In a medium bowl, sift together the four, salt, and baking soda. Set aside. 5. In a large bowl, whisk eggs and then mix in sugar until well incorporated. 6. Stir vegetable oil and vanilla in with egg and sugar mixture. 7. Add in flour mixture and sour cream alternately (approximately 1/3 of each at a time), making sure that all ingredients are thoroughly incorporated. 8. Gently fold blueberries into batter. 9. Pour batter into muffin pan, filling each cup 3/4 full. 10. Place pan in preheated oven and bake for 20-25 minutes.